The Aspiring Home Cook: What a year its been! Yay, My Hobbie Lobbie completes a year today. It seems like just yesterday I was obsessing about what to name my blog, what I would post about and whether there'd be anyone out there reading. The journey over the last one year has been an unbelievable one and starting this blog is one of the best decisions I've ever made. I've met so many wonderful folks from around the world and have received such delightful comments that I'm humbled. I've grown so attached to this blog and all my wonderful blogger friends that a few days away from the blog gets me all blogsick (is that even a word, anyway you get the idea). I can't willingly stay away for too long. Yet, there have been times where life demanded more of my time and I've spent more time away from this blog than I would have liked. But you guys have always been there everytime I got back. I want to say Thank You to each and every one who has visited this blog, followed and commented as well as those in the shadows, who faithfully visit, but still choose to remain anonymous - I would love to hear from you. To commemorate this milestone, I've made Lemon Bars. I've wanted to try them out for the longest time and now I can proudly say I have. It was surprisingly simple to put together. I think I might've overcooked these a tad (I halved the original recipe but forgot to adjust the time, duh! ), but they were still so very delicious, it took every ounce to will power to stay away from them. These have flown straight to the top of my favorite dessert list. I'm gonna hold on to this recipe and most certainly make them again and again and then again. You get the idea. The zested peel adds so much zing to these bars, I'm sure they wouldn't be the same without them. Did I mention how much I loved them? ... full of lemony goodness! Preheat the oven to 170ºC. Line a 9"*13" pan with some greased baking paper. I would suggest leaving an overhand to help pulling it out of the tray. I'm definitely doing that the next time I make these. Mix the butter, flour and sugar till well combined. If you're using unsalted butter, please add a pinch of salt. Spread this dough evenly into the prepared pan. Bake for about 15-20 minutes or until set and just beginning to turn color. Prepare the filling while the crust is baking. Using an electric whisk at medium speed, whisk together the eggs, sugar, lemon zest, lemon juice and flour. Pour this mix over the baked crust and bake for 30-35 minutes or until light golden brown. Don't overbake or underbake it either. If underbaked, the lemon filling won't set. 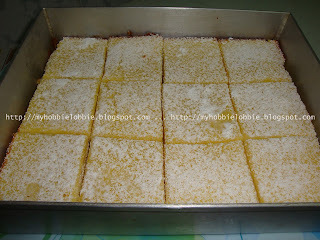 Cut into bars and sift icing sugar over the top. Farm girls says they keep well on the kitchen counter for a few days, but I refrigerated mine and it kept well. The only thing I did was take it out about 10 minutes before serving, to let it come to room temperature a little. Whatever storage you choose, if it lasts till then, get ready to drown in some pure citrus heaven. Its simply sunshine on a plate! Congratulations Trisha on your Anniversary! 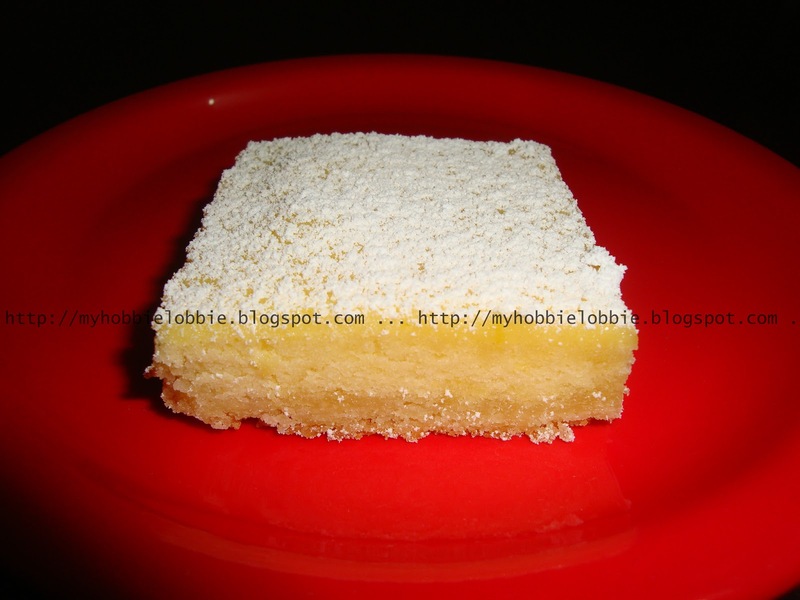 Your Lemon Bars are a great celebration recipe, they look delicious. Hope you are having a great week end and thanks so much for sharing with Full Plate Thursday. Thank you for stopping by Miz Helen! Happy Anniversary, Trisha! 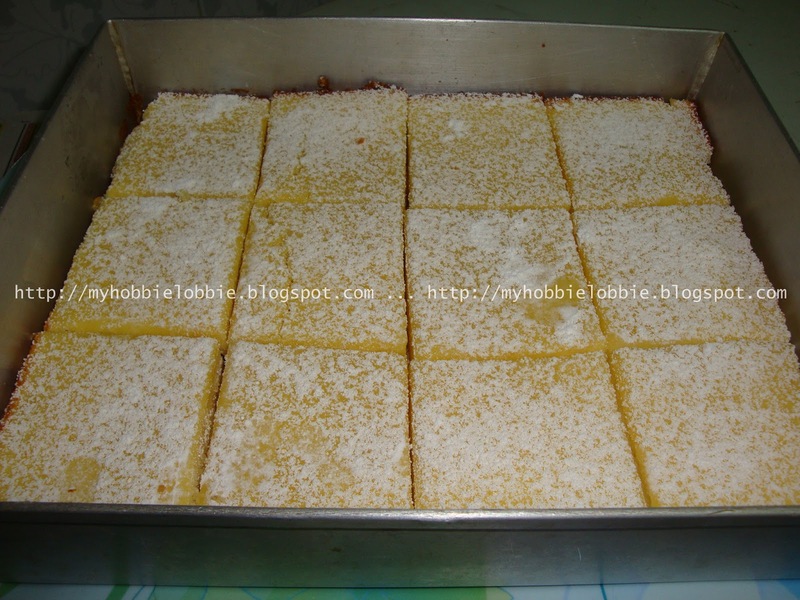 Your lemon bars look absolutely perfect! Trisha, congratulations on the anniversary of your blog! I am so happy to know you and to always have a visit to your blog be a happy part of my week! Your lemon bars look like sheer perfection! Jenn, I'm lucky to have found a friend like you. I've learned so much from you and I look forward to learning more!